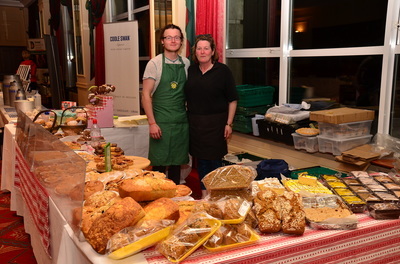 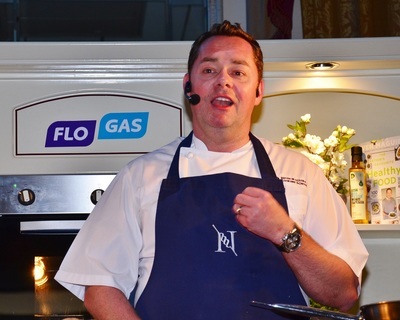 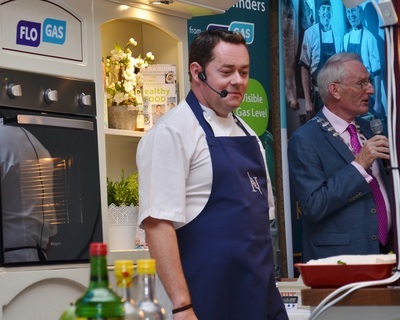 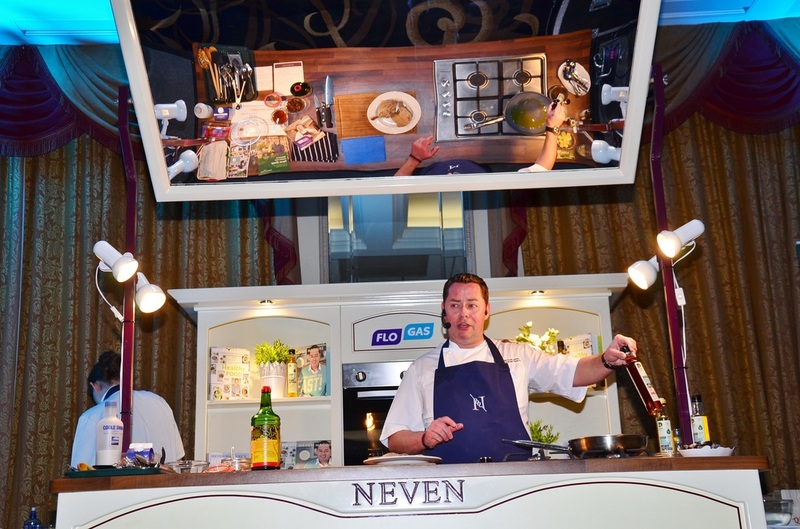 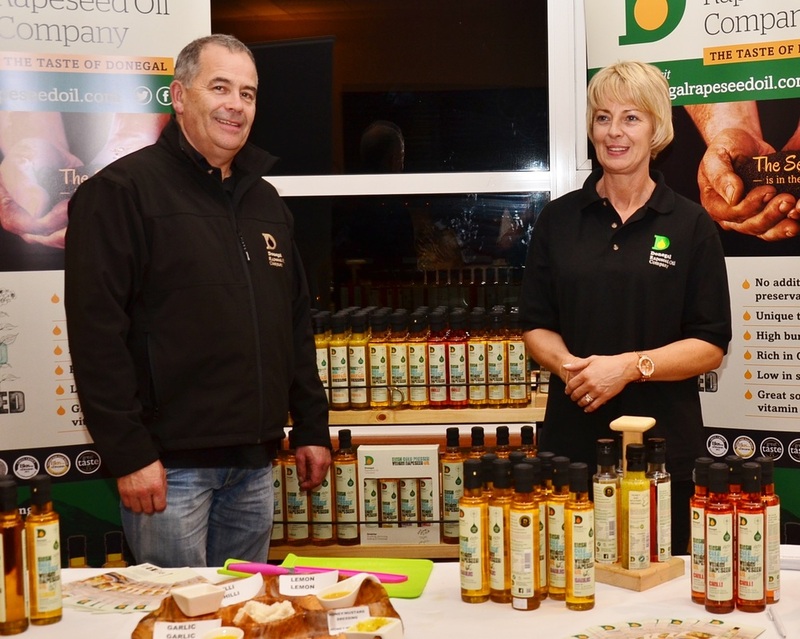 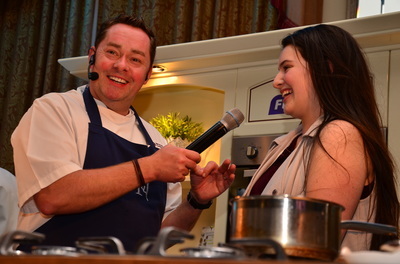 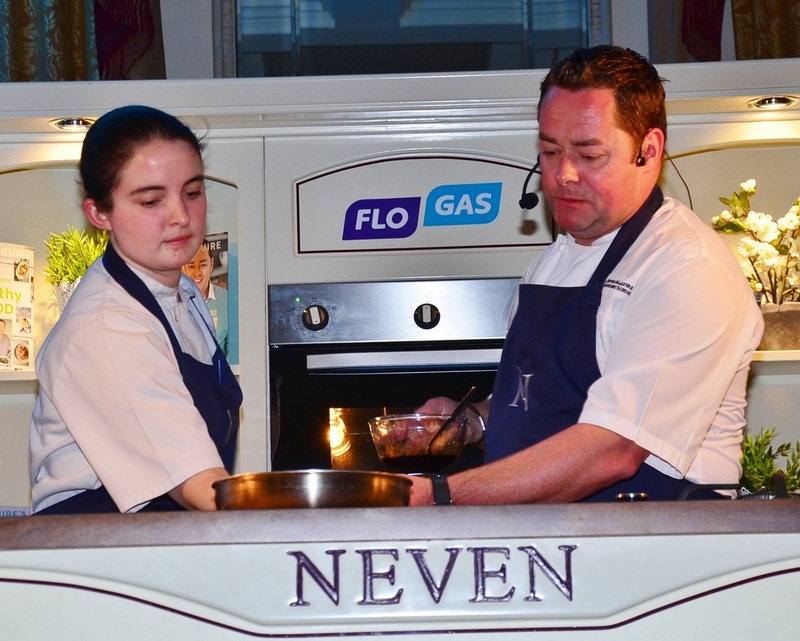 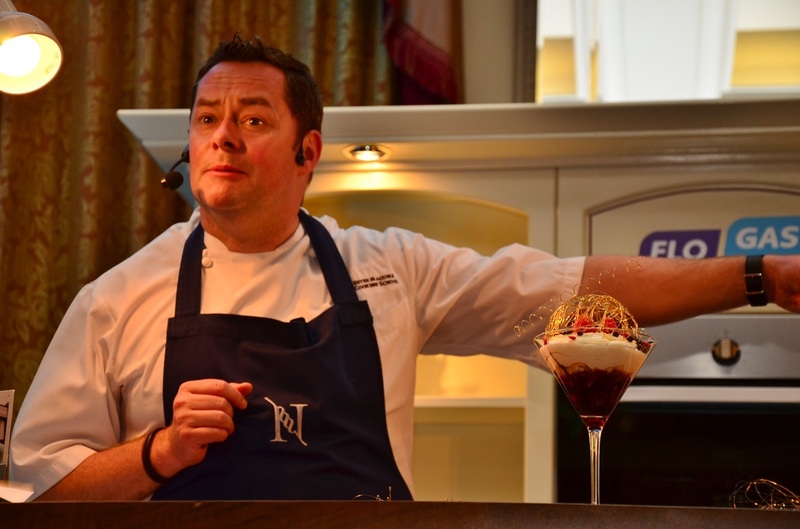 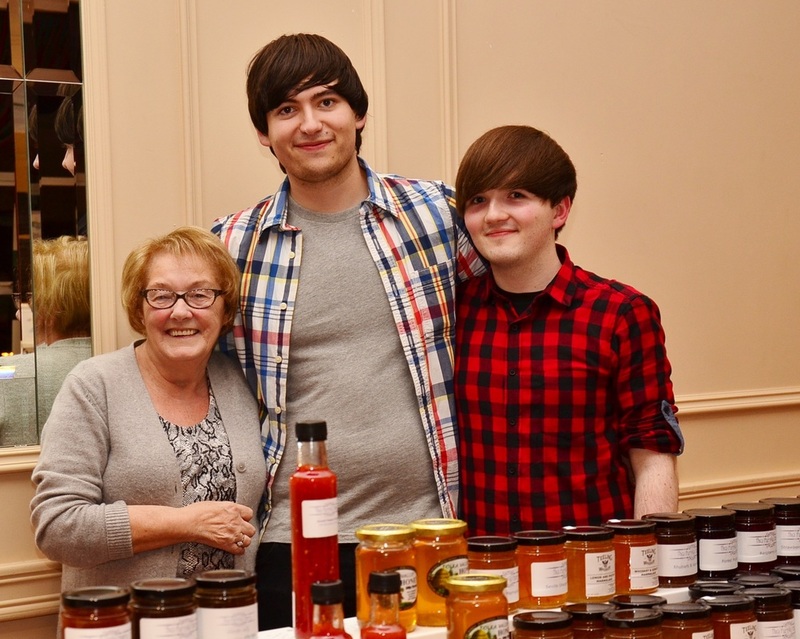 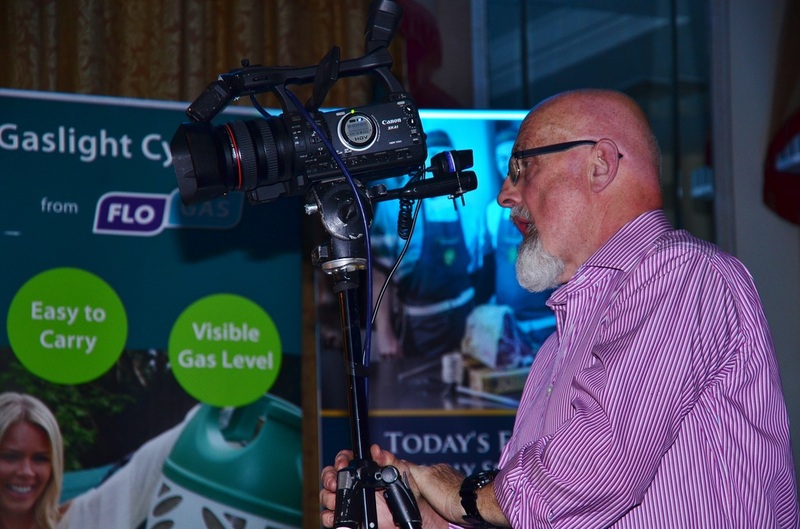 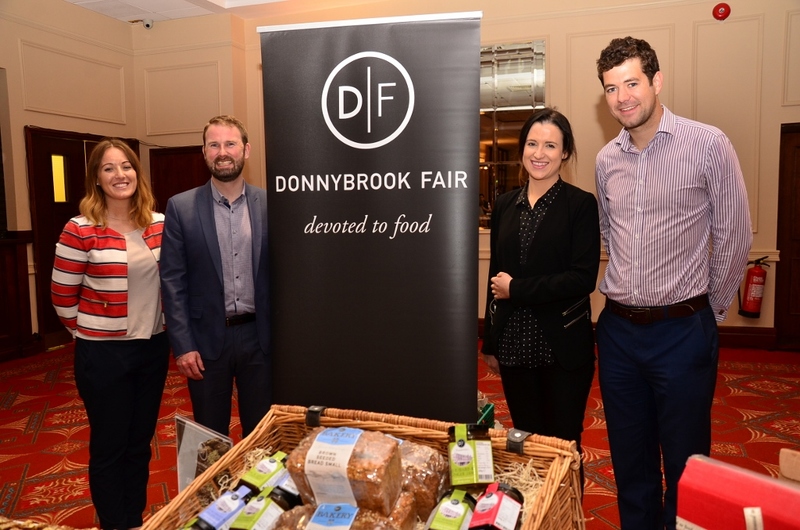 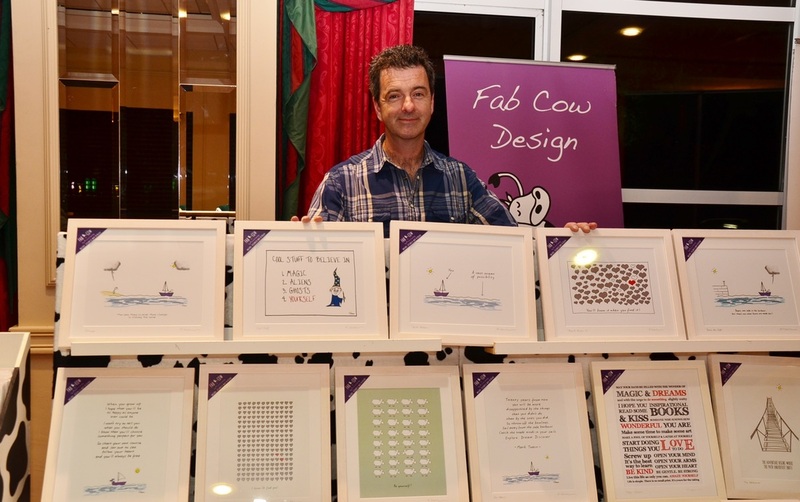 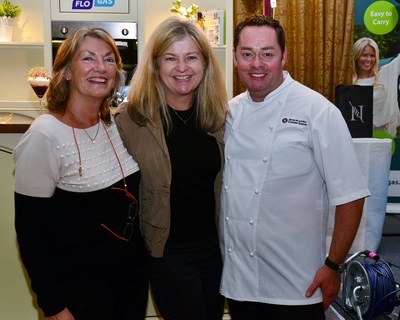 Neven cooks up a storm in Malahide! 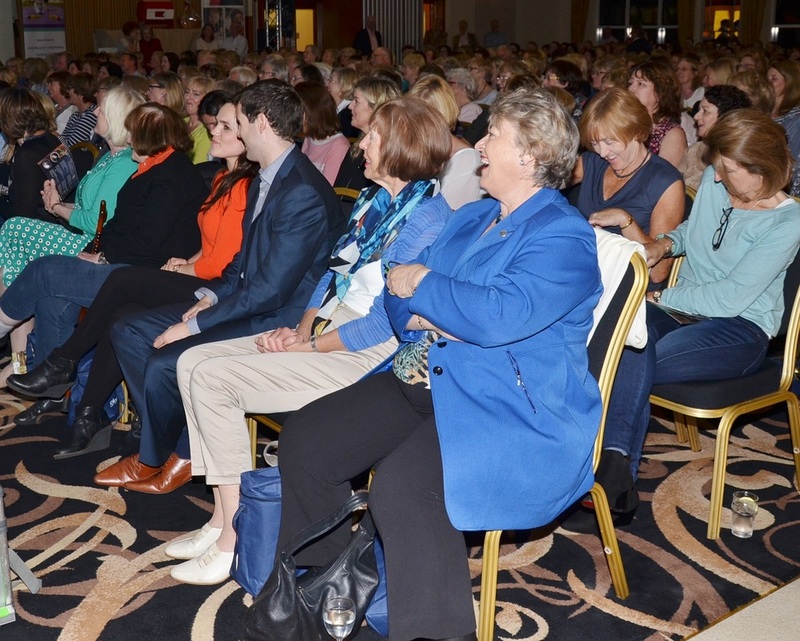 Over 400 people attended our Neven Maguire cookery demonstration in aid of Cystic Fibrosis Ireland & St Michaels House Baldoyle. 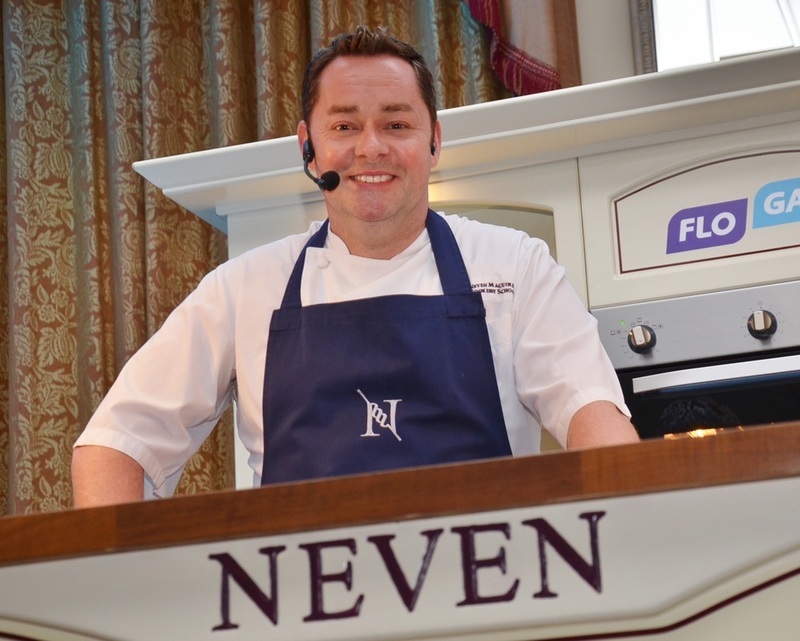 Neven, as well as being one of the top chefs in Ireland, was a true gentleman and wonderful raconteur! It was a fantastic evening from start to finish with something for everyone in the audience! 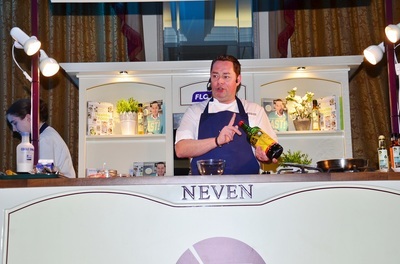 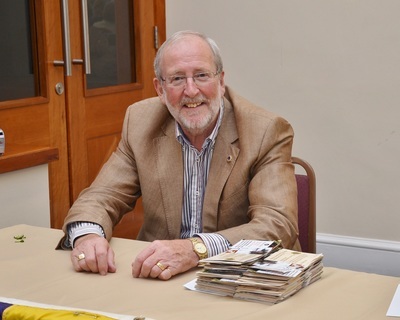 There were local food and craft stalls, free tasters, vouchers, signed copies of Neven's new books to purchase and a photo opportunity with the main man himself. 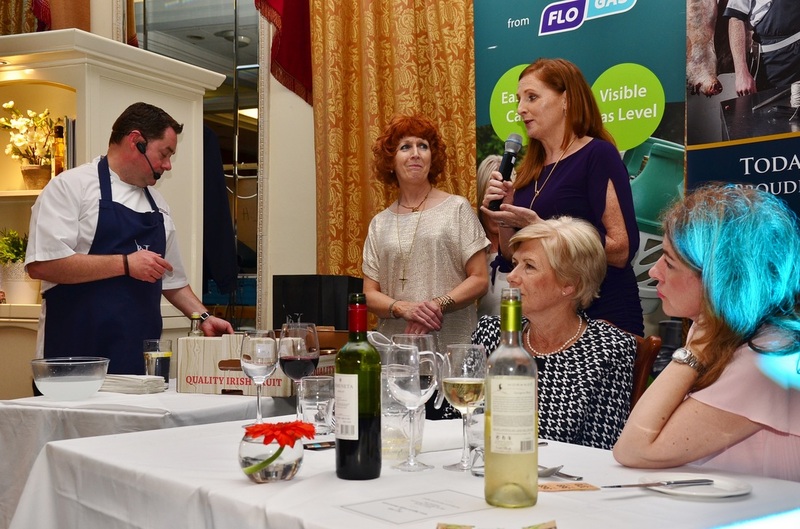 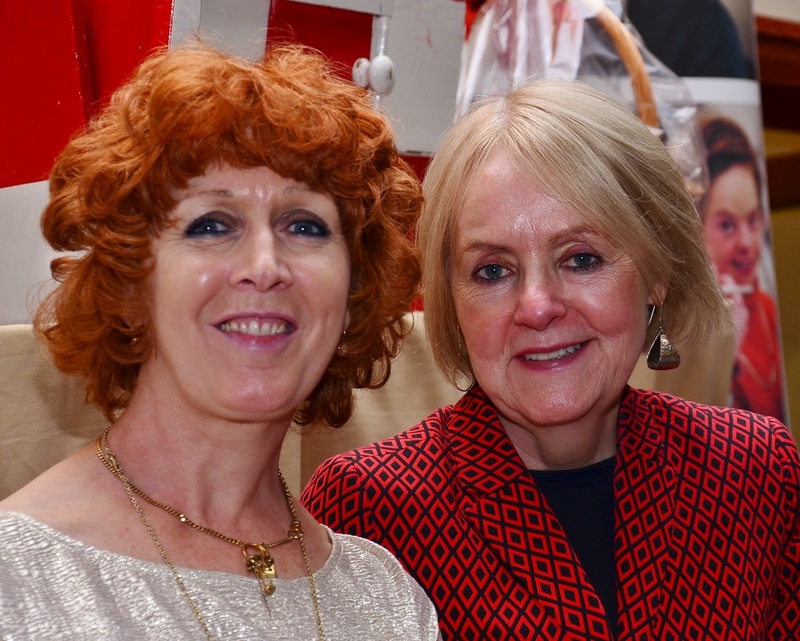 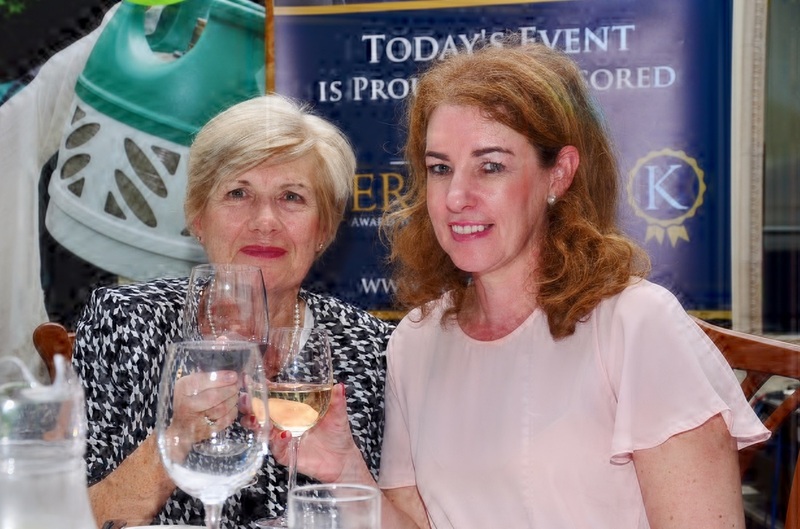 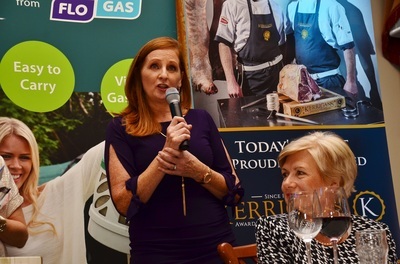 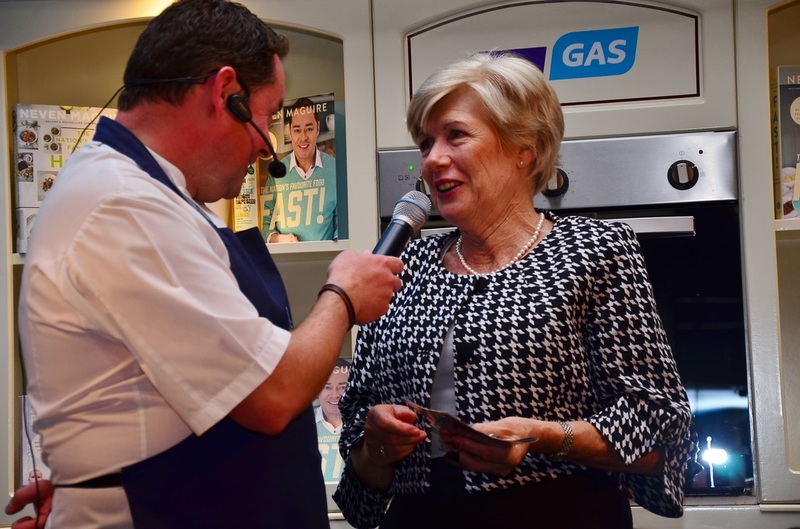 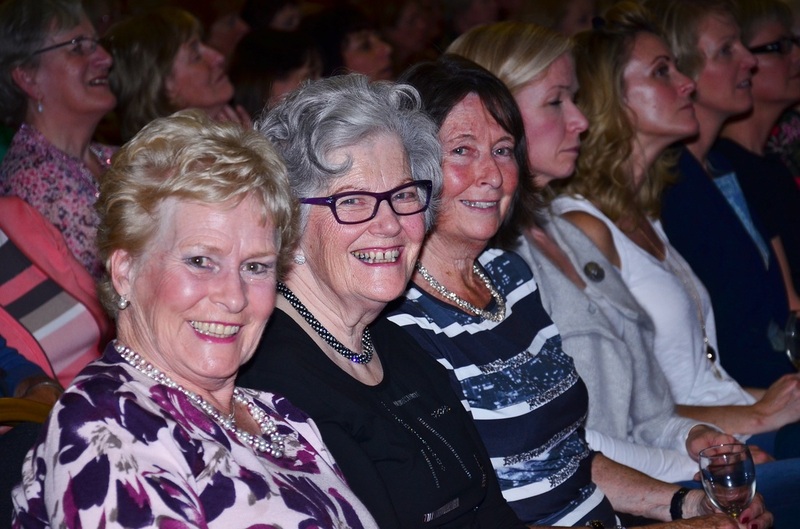 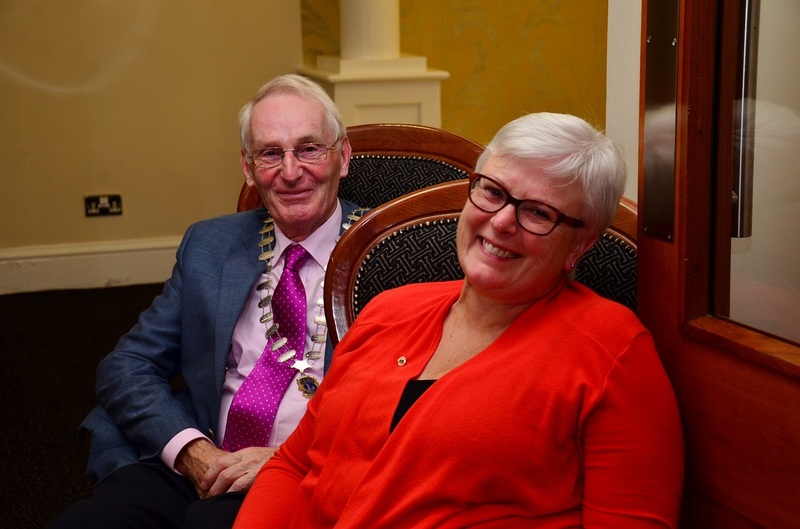 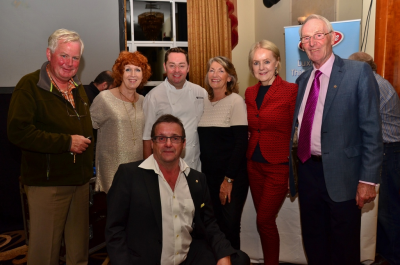 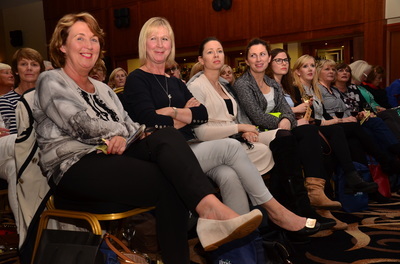 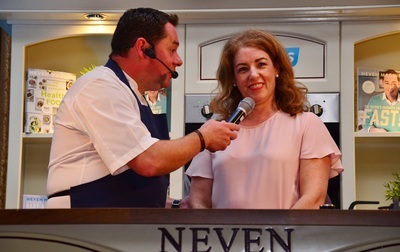 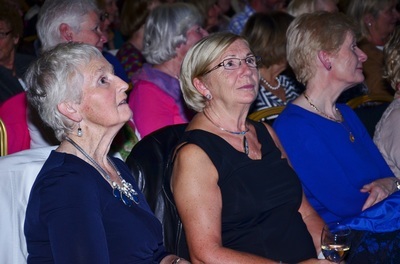 Two lucky ladies, Vivienne Keavey & Mary McGrath, were invited on stage to eat the delicious three course meal Neven cooked. 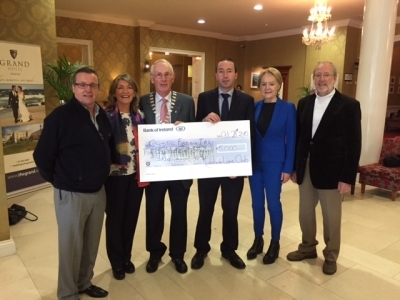 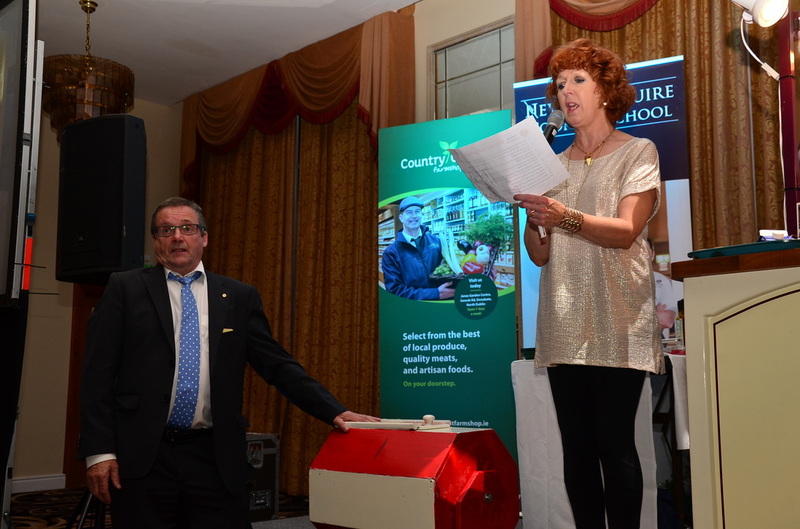 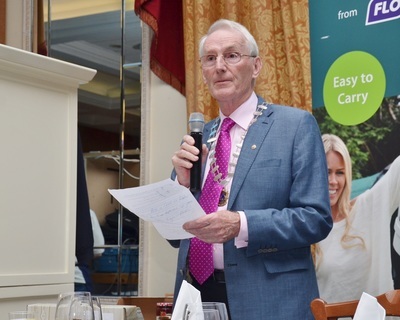 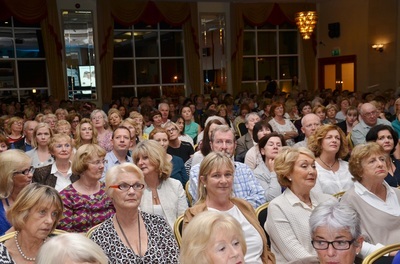 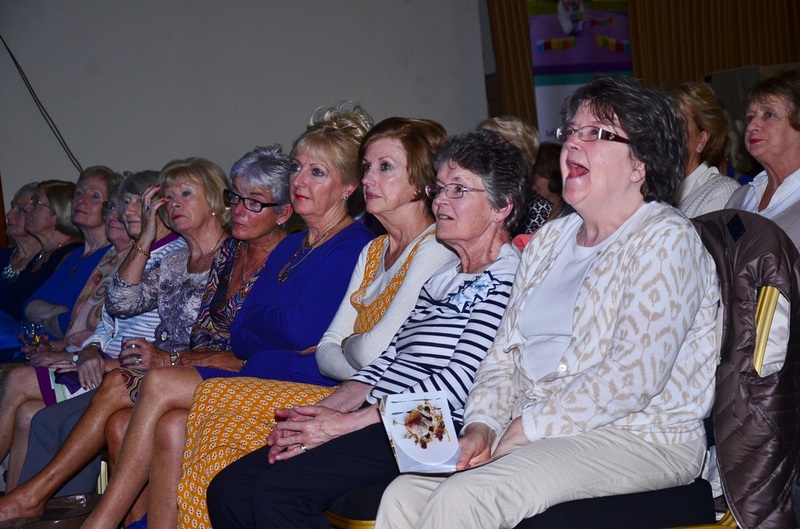 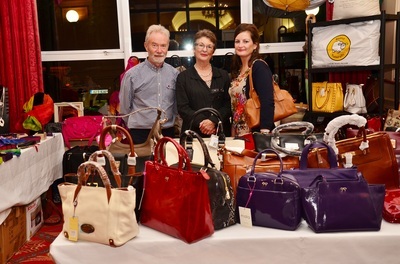 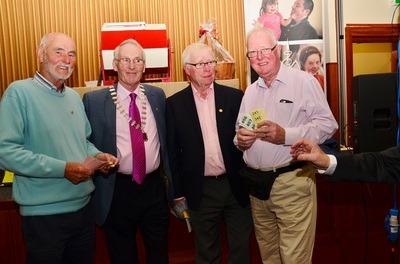 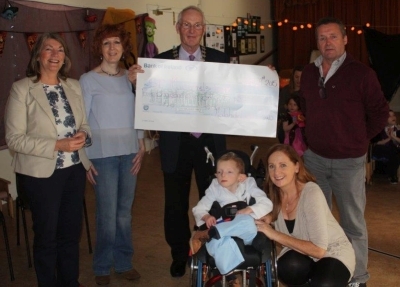 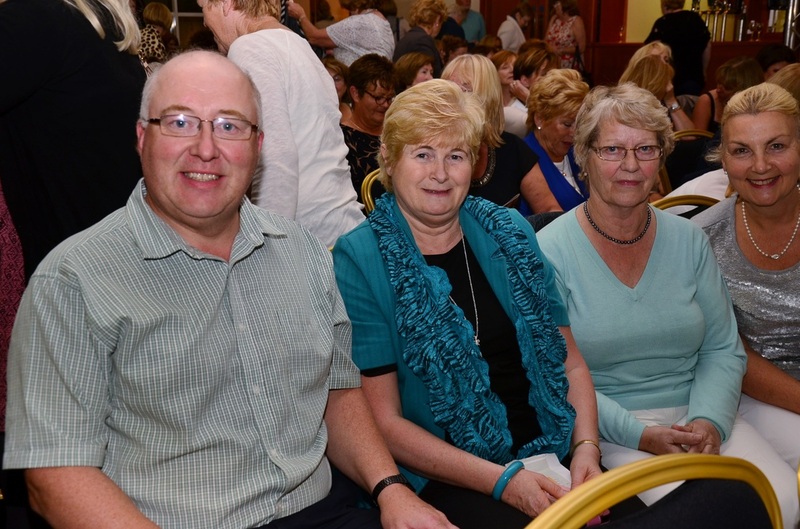 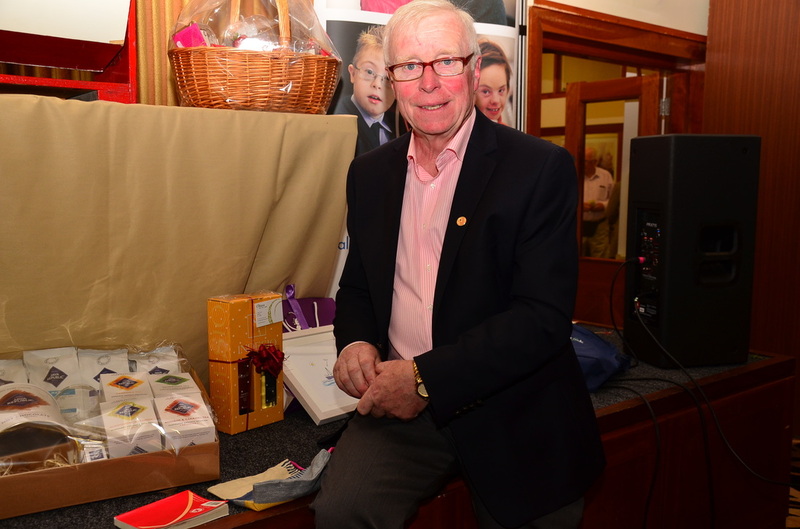 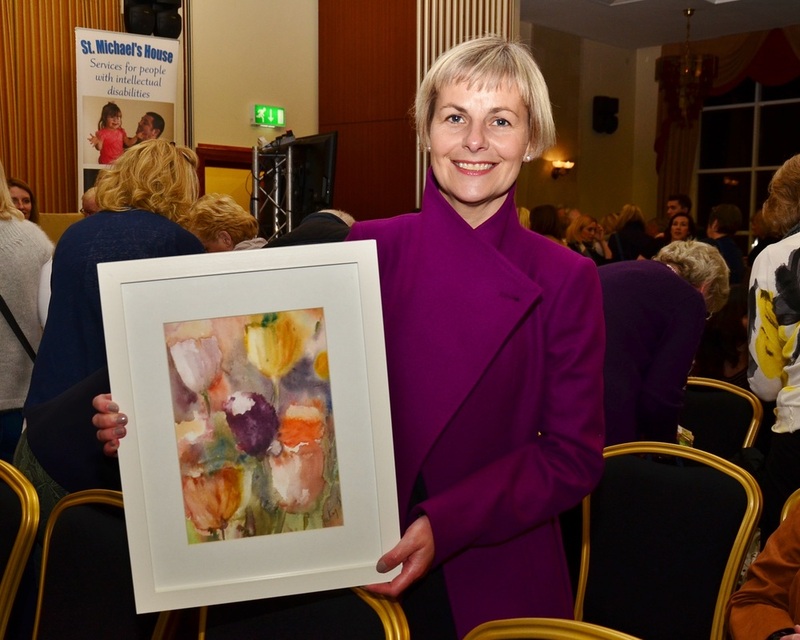 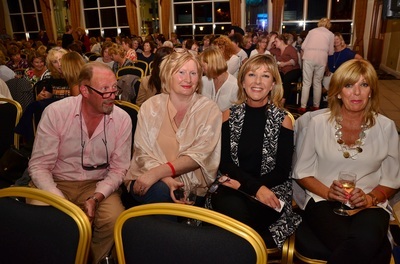 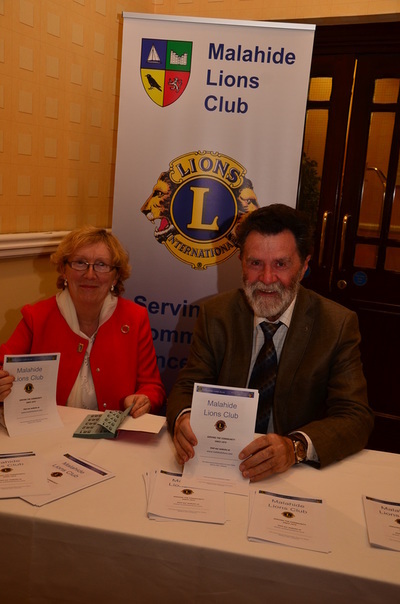 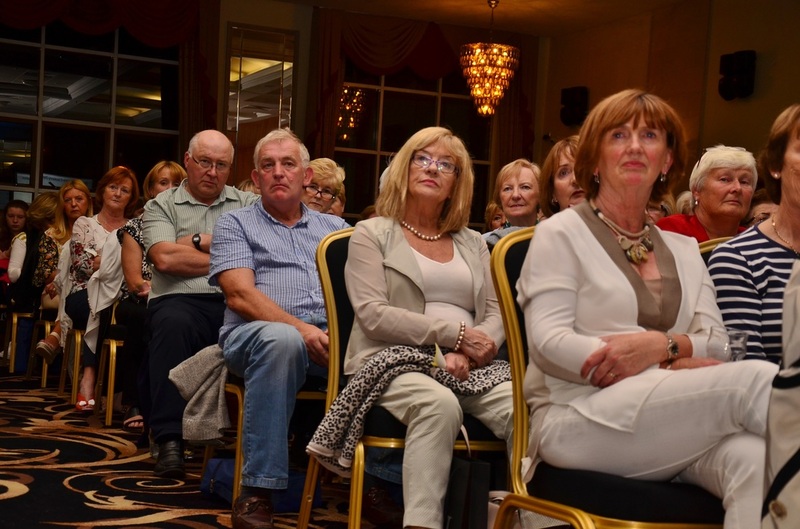 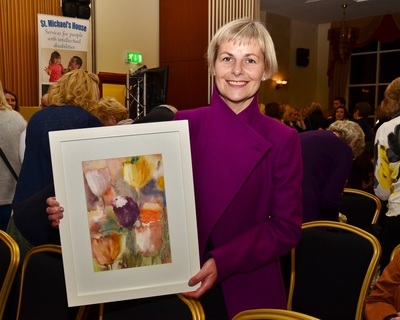 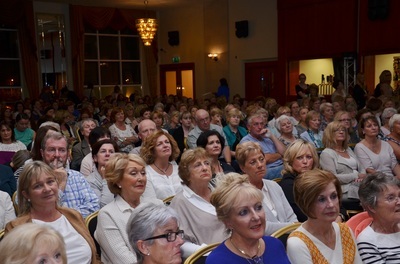 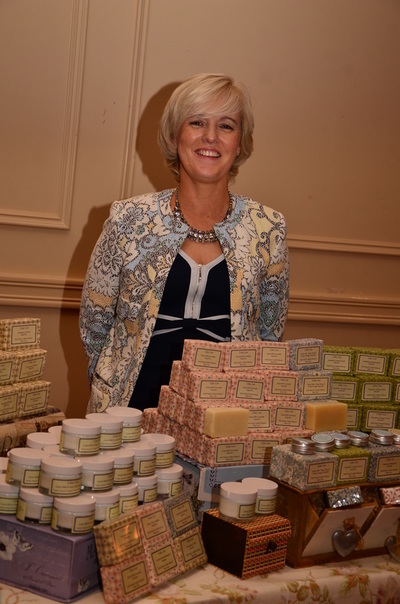 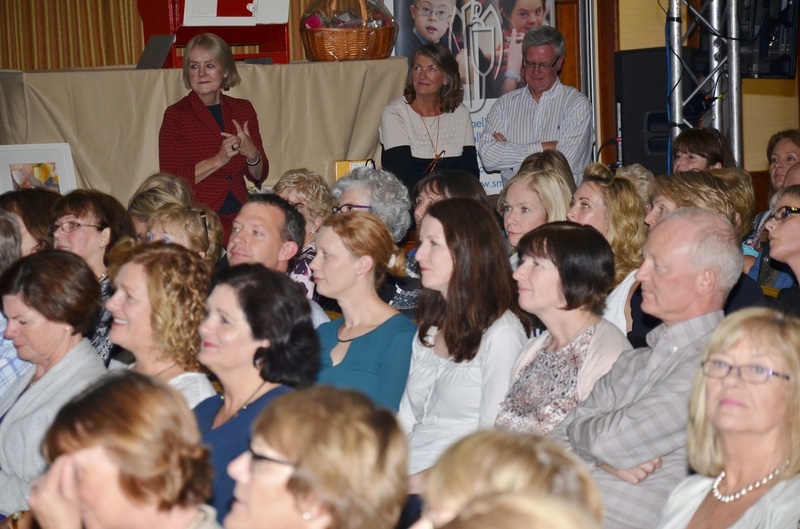 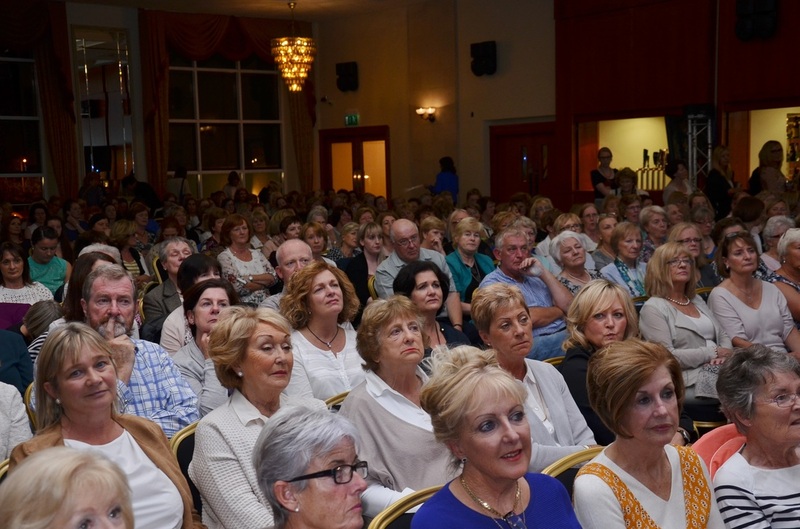 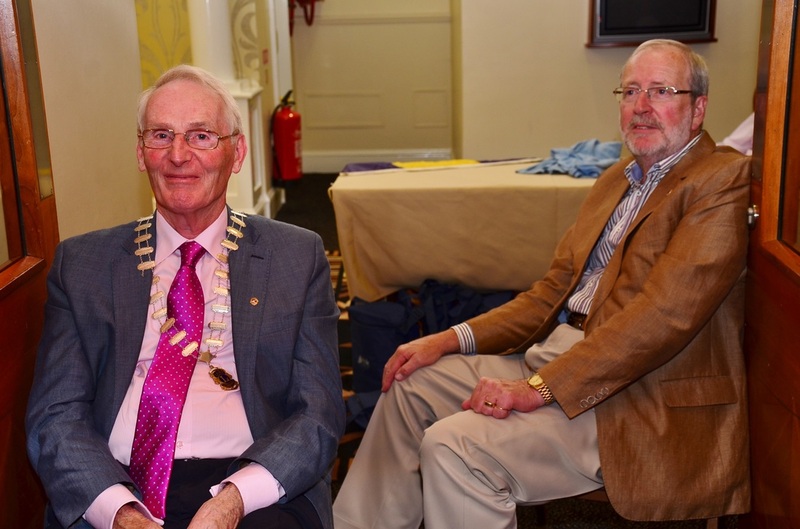 The proceeds from the night enabled us to donate €5,000 to each charity. 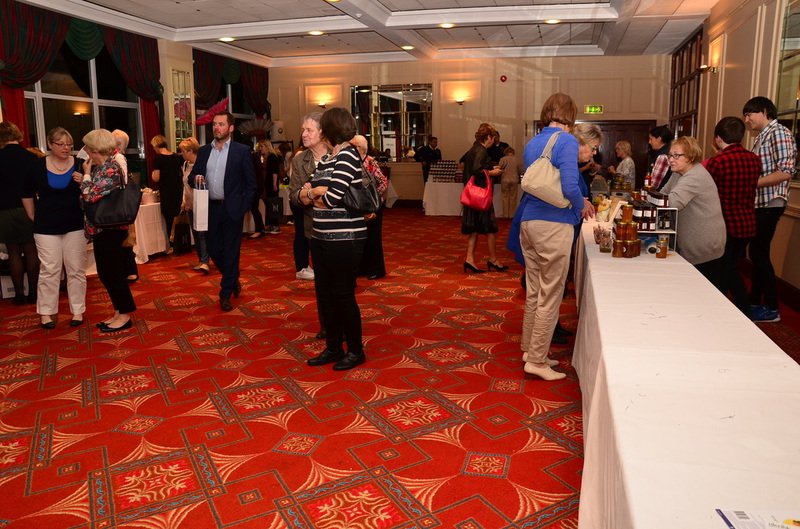 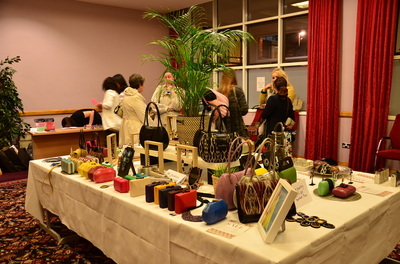 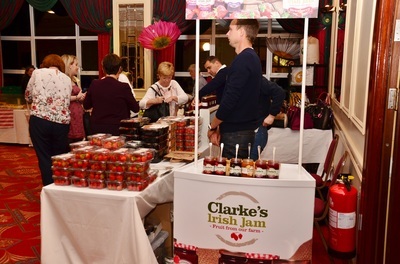 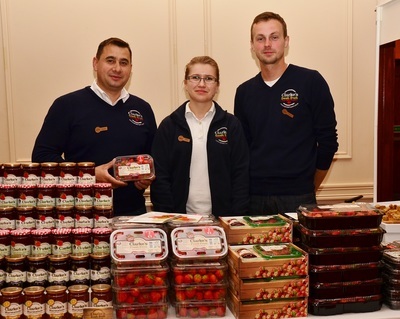 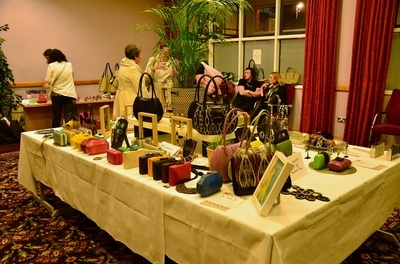 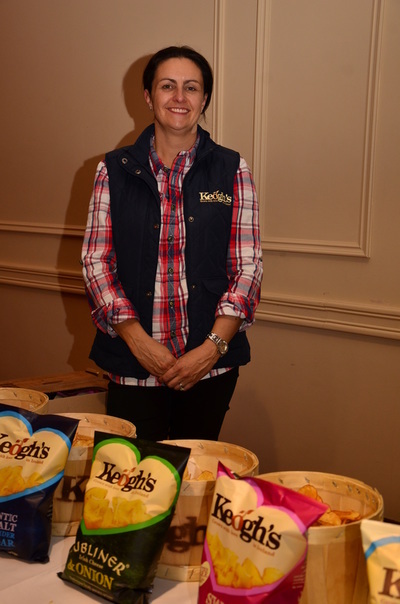 A huge thank you to the Grand Hotel for the room, to our main sponsors Country Crest & Kerrigan's butchers, the stall holders and to all who bought tickets, donated raffle prizes or who helped on the night.